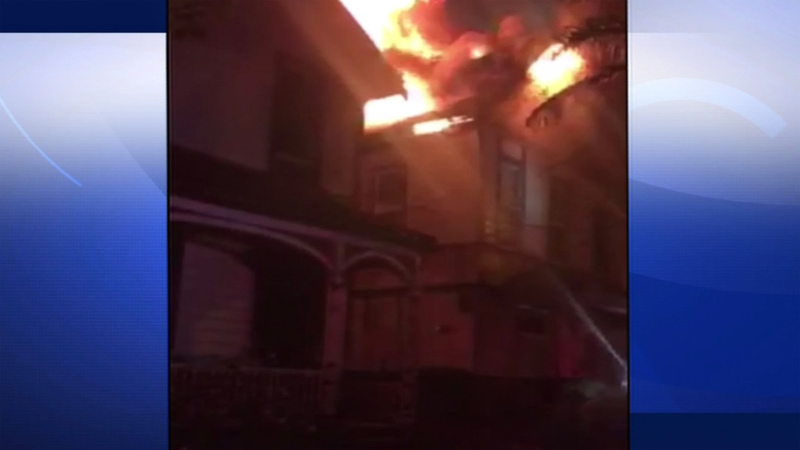 SAN JOSE, Calif. (KGO) -- Nine San Jose State University students are without a place to live after a fire destroyed their home. The first broke out on Friday around 1 p.m. A second fire started at the same place just after 3 a.m. on Saturday. The house is located on North 9th Street, a couple blocks from the school's campus. A neighbor says the fire flared up a second time after the initial fire. "Kind of where the hole was is where they cut through to check the attic before on the first fire. So, it was just shooting out that hole. The flames were about 15 feet high," said Pol Van Rhee, a neighbor. The fire was so intense, it took firefighters three hours to put it out. There are no reports of injury. The students, who lived int he house, say they have been getting donations from the community at large. Hank caco's furniture in DT SJ donated 9 beds to sjsu students .